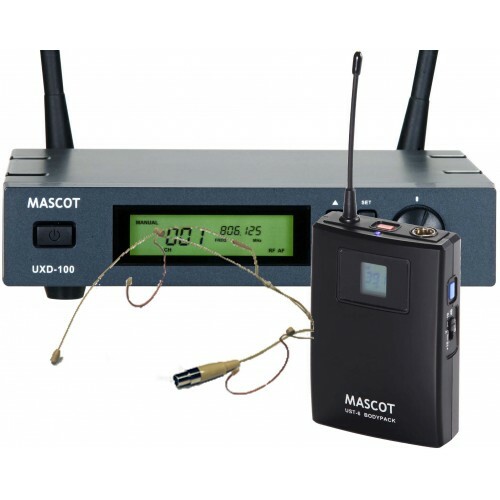 A complete UHF wireless headset system.The body pack transmitter has mini-XLR input for the headset microphone. The unit takes 2 AA batteries and has a battery indication on the LCD display which also indicates the channel to which the unit is tuned. The battery compartment is accessible via a slide-off cover giving clear access and secure fitting of the batteries. The SYNC button on the side automatically synchronizes the transmitter to the appropriate receiver. (The receiver SYNC button must also be pressed). There is a gain switch on the side of the unit allowing gains of -10dB, 0dB, +10dB. 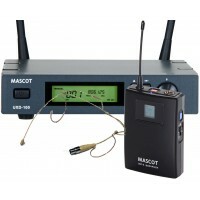 The unit uses CH70, 863-865MHz and does not require a license for use in the UK. 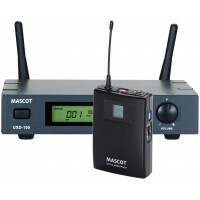 The receiver is a true diversity receiver which improves reception even in the most difficult locations. It occupies a half width 1U rack unit and comes with hardware to connect two units together to occupy a full 1U rack space.It may also be free standing with rubber feet supplied. The L3 rack kit is available to secure one unit in a full 1U rack space. 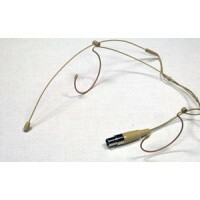 The headset is a behind the head version which is very stable in use and produces a very realistic natural sound. 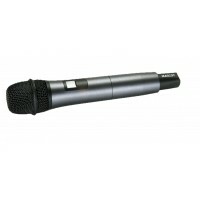 UHF hand held cardioid electret capsule microphone..
A complete UHF wireless instrument system.The body pack transmitter has mini-XLR input for lapel mic.. 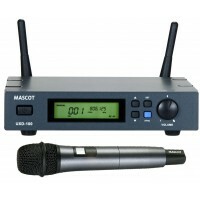 This hand held microphone system utilities a unidirectional electret condenser head which gives exce..
A complete UHF wireless headset system.The body pack transmitter has mini-XLR input for the headset .. 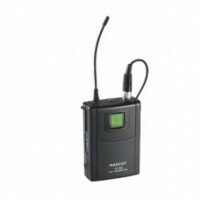 The body pack transmitter has mini-XLR input for lapel microphone or instrument. The unit takes 2 AA..
Light weight two ear behind the head headset, fit standard Accusound battery box or wireless system..